Businesses consider data their essential assets which aids in their growth. Even the smallest businesses generate data, though in lesser volume. If you have questions about how to improve your business, your data will help you answer them. Gathering and maintaining data is one thing, but extracting useful information from these datasets is challenging. Traditional statistical solutions that typically focus on static analytics result in unreliable conclusions. The smarter alternative, machine learning has overcome that problem and has become a novel and rapidly expanding domain. In this webinar, you will understand the key benefits of leveraging machine learning and big data. Our subject matter experts will briefly walk you through the challenges that can be efficiently solved by applying these technologies into business practices. After a unifying overview of the challenges and benefits, we’ll study the onboarding approach that best suits your business needs. Question 1: How do I get started with Machine Learning? Answer 1: The best way to get started with machine learning is to first identify the problem you need to solve, and the data relating to this problem. 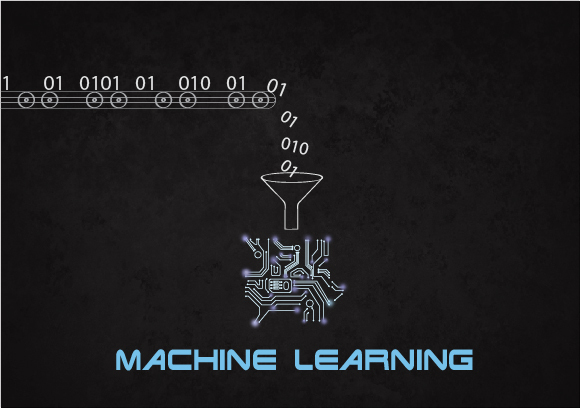 Machine learning providers then guide you further by creating a machine learning models from a sample dataset, evaluating this model, and using it to create predictions. Question 2: How long does it take to get desired output? Answer 2:The timeline entirely depends on the results you are after. A simple machine learning program designed to automate data processes could take a few weeks to develop, depending on the size of the development team. On the other hand, suppose we need to work upon some unstructured data for example social media, it could take few months to develop, test, and apply the most efficient machine learning algorithms to answer your business questions. Question 3: What about the data Storage and security? Answer 3: Here, I would say, the cloud plays a critical role in terms of storing and securing big data. And, another query you might have with the storage is how machines are calling up that data to actually analyze it. So, there are APIs that connect to the cloud and do the rest of the job of connecting the data for you. And when we talk about security, we’ve had clients that thought data security to be a major concern but I would say that it’s not as much a potential concern as we often portray it. Most companies providing data science services have a secured NDA policy that ensures privacy of your data. And, well, if you still are concerned about the data security, you can always first go with the proof of value or a demo provided by service providers, and learn about their security strategy. Question 4: In what format does the company data needs to be? Answer 4:Well, that, I mean, it entirely depends on you. Your data can preferably be in a structured form like within a database or multiple spreadsheets, or an unstructured form, maybe in the form of emails and social data. However, the unsorted data will require more time to be structured to be further used into the model. So, it basically depends on the requirements. Question 5: Do we need to keep the system updated with data, every time we have new incoming data? Answer 5: I’d say not really because once the ML model is built, the data will be automatically fed into the system from different integrated data sources like SAP or SQL databases.